A Cappella music for any event. If you are looking for that perfect vocal group you have found it. 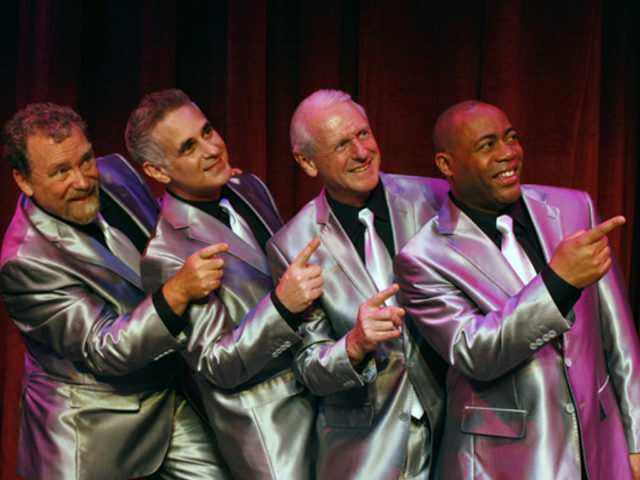 The Mighty Echoes sing your favorite songs from the 50’s and 60’s just like you remember them. They can dress in any style that will best fit the theme of your event. They are always a crowd pleaser for corporate events and parties. The Mighty Echoes were founded at the Olio Theater in Los Angeles in 1986 at the end of a long running musical by Harvey Shield 1284: The Pied Piper. Shortly thereafter they appeared on Who’s the Boss as Tony Danza’s high school group the Dreamtones. This led to subsequent appearances on Murphy Brown, Family Matters, the MTV Superbowl Show, Disney’s The Suite Life Of Zack and Cody, It’s Always Sunny In Philadelphia, and a featured role as the singing firemen in the film Wilder Napalm. 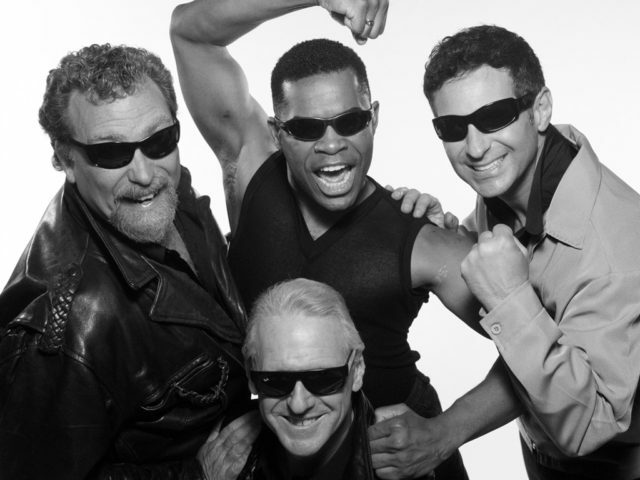 The Mighty Echoes have also become a staple of performing arts centers around the nation, including the prestigious Carpenter Center in Long Beach California. Over the years the Echoes have had the profound pleasure of performing with many greats from the pantheon of Rock and Roll, such as Ray Charles, Stevie Wonder, Chuck Berry, Richard “Louie Louie” Berry, The Shirelles, Little Anthony, The Coasters, The Penguins, Gene Chandler, The Dixie Cups, The DuPrees, The Crew Cuts, The Chordettes, The Diamonds, Miss Patty Page, The Four Seasons, Tony Orlando, The Moody Blues, Lou Reed and many more. The Mighty Echoes consider themselves to be true brothers in harmony. They feel extremely lucky and blessed to be great friends and to have maintained a family atmosphere all these years. 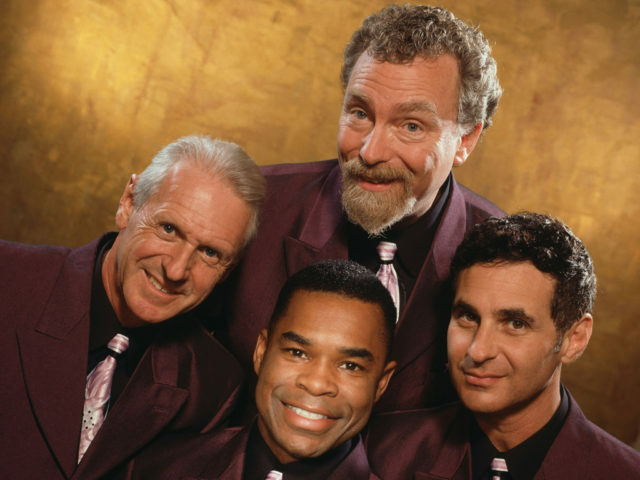 Their true affinity for each other and the authentic Doo Wop style inspire their concerts and recordings in a way that sets The Mighty Echoes apart from the rest.